This wooden blocks set by Shure is a creative building set, Pirates picture storybook, and a pretend play pirate toy - all in one box. 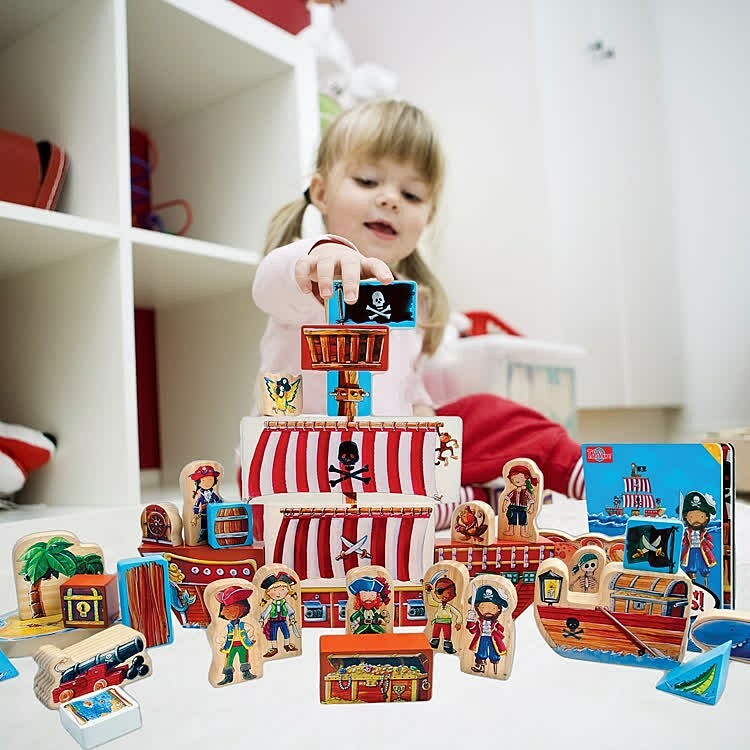 Pirate Wooden Blocks Play Set & Storybook is a toy to create little pirate's dream world! 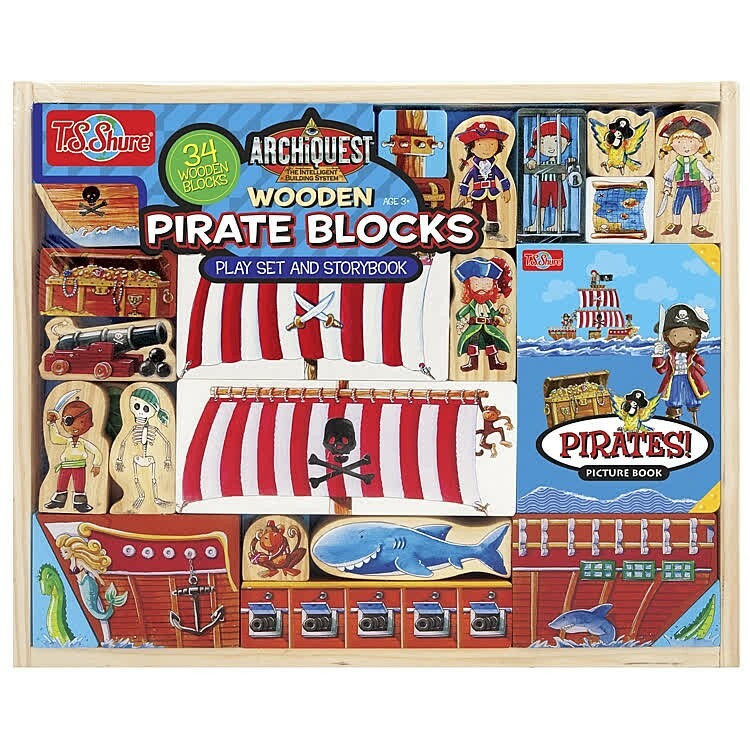 This wooden blocks set, by Shure's ArchiQuest intelligent building series for kids, is a creative building set, Pirates picture book, and a pretend play pirate toy - all in one box. 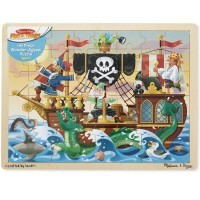 This colorful wooden block set for kids contains 35 beautifully illustrated pieces to create an imaginative pirate world. 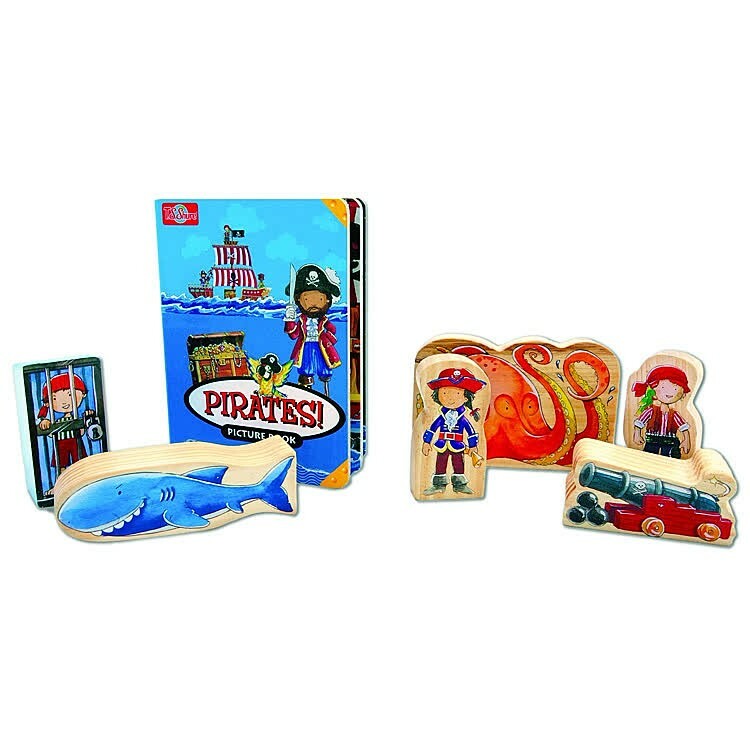 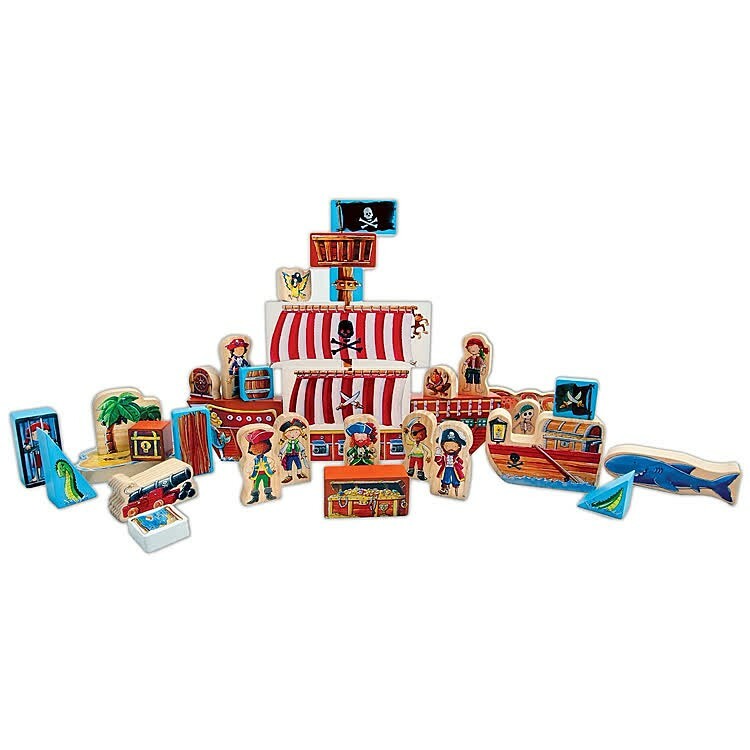 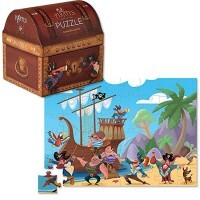 On these kids wooden blocks you can find figures of friendly pirate kids, treasure chest, treasure island map, sea creatures, pirate ship building blocks, and much more to play a pirate ship sailing to find a treasure for hours of imaginative fun. 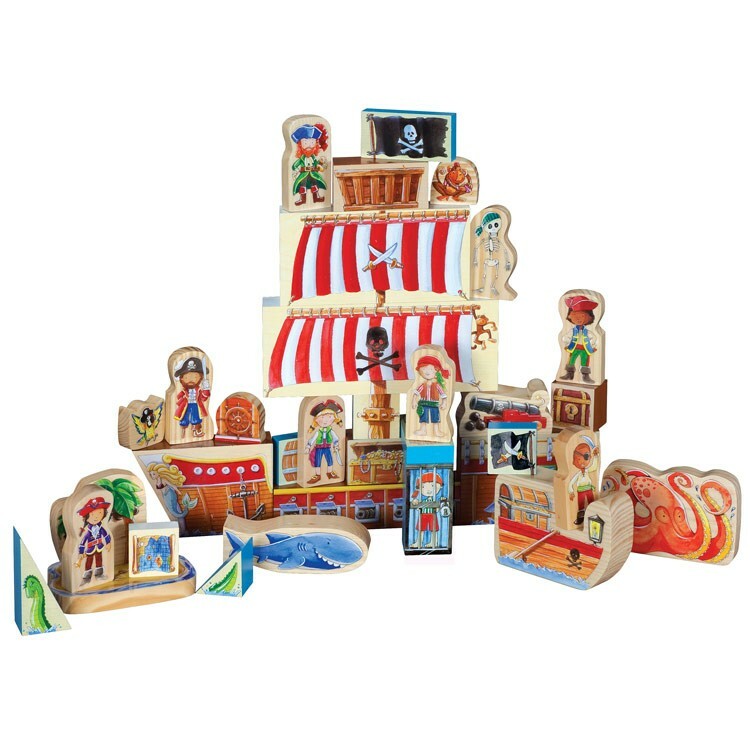 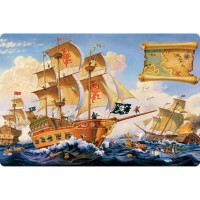 The sturdy board storybook about pirate life is included in this pirate themed playset. 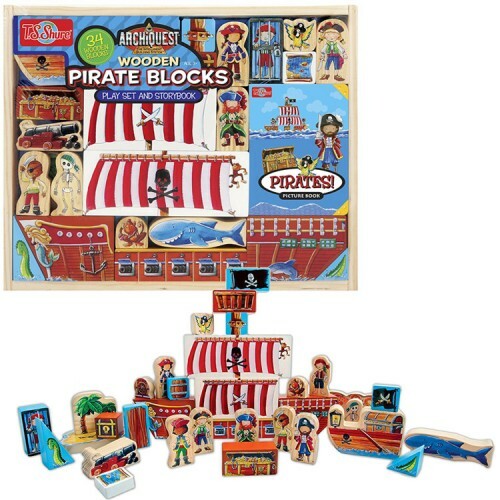 Educational Toys Planet's Pirate Wooden Blocks Play Set is made of high quality durable wood. 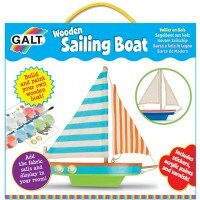 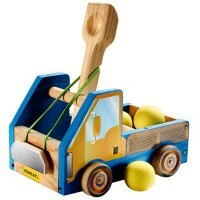 The wooden pirate toy meets and exceeds all US toy safety standards. 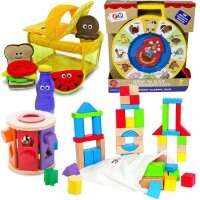 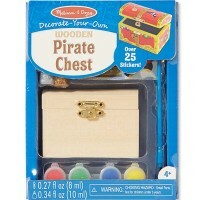 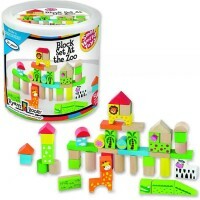 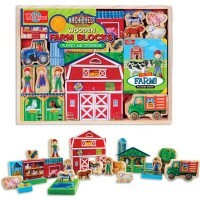 Dimensions of package 1.75" x 16.5" x 13.2"
Write your own review of Pirate Wooden Blocks Play Set & Storybook.